The primaries are over, and now we know whose names will appear on the ballots in November. It’s a good but not great year for women –there are now nine women nominated for governor, nine running for the U.S. Senate, and 161 for the U.S. House of Representatives. New Hampshire holds one record: it’s the only state to have its governor, both senators and every U.S. House member represented by women. This week’s question is: What’s the first state to have a woman as its governor as well as one of its senators at the same time? Last week’s trivia question was: in 1964, Henry Cabot Lodge shocked the world by winning the New Hampshire Republican primary for president on a write-in campaign. He was the first person to win the primary via write-in. Who was the second person to win the New Hampshire presidential primary as a write-in? The answer is Lyndon Johnson. 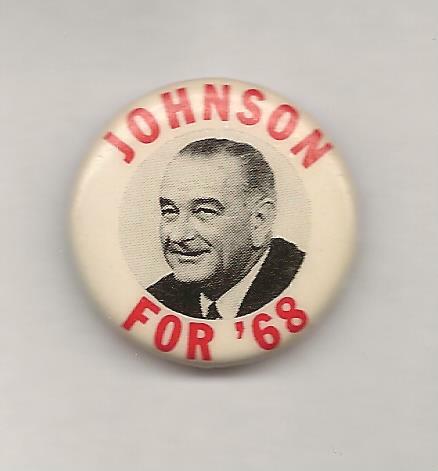 Four years later, in 1968, President Johnson’s name was not on the ballot. But he got more votes as a write-in candidate than did Eugene McCarthy, whose name was on the ballot. LBJ won the primary, but less than three weeks later he shocked the world by announcing he would not run again. Joel Shapiro of Bound Brook, New Jersey, shocked the world as well. He’s this week’s randomly-selected winner, and gets the coveted Political Junkie button.